I am re-listing my Simpsons Persian Jar 3 in Super Badger. It's a luxurious brush, with a dense knot, medium backbone and silky soft tips. 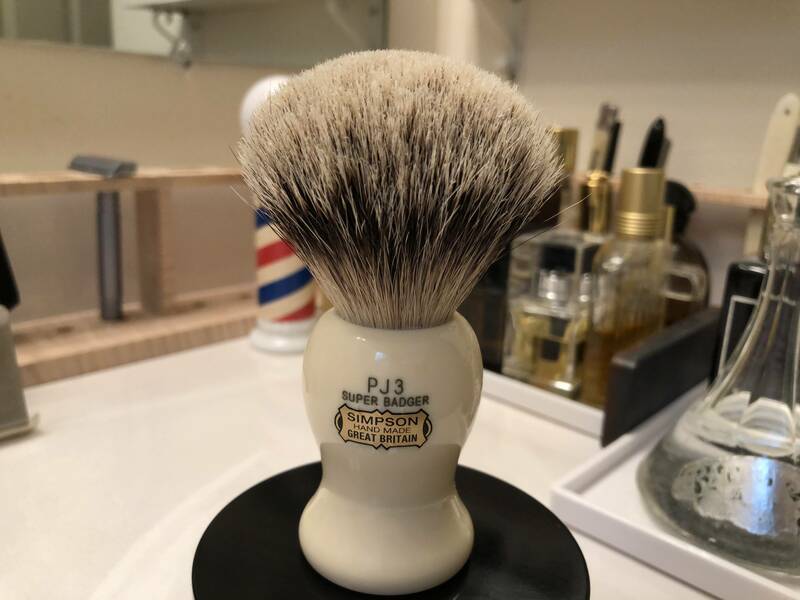 The brush is only couple months old, but I find it slightly big for my taste. So I might as well pass it on. New, the brush was $229. Here I have listed it priced to go at $115 shipped U.S. Paypal is fine. No trades, please. Thanks.